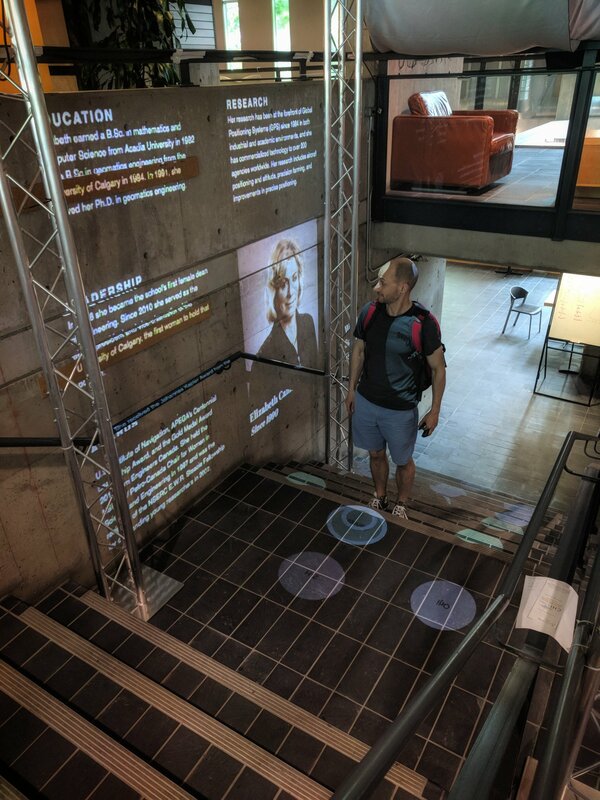 As part of Dalhousie’s 200th anniversary commemoration, we created an interactive stairwell exhibit celebrating the contributions of women in Computer Science. Installed in the foyer of the Computer Science building, the names of prominent international, national, and local women in the field are projected on the stairwell. Stepping in front of a name causes a multimedia vignette about that person to appear on the wall beside the stairs. The exhibit will be live throughout 2018, and we are using it to experiment with different visual techniques intended to engage passers by.